Welcome to the 6th Dundas Scouts Group and our home on the World Wide Web! 6th Dundas carries on a long tradition of Scouting programs in Dundas, however we are a relatively new group established in 2013 to grow Scouting in our community. Our Group is made up of different youth sections. We have Beaver Scouts (5-7); Cub Scouts (8-10); Scouts (11-14), Venturer Scouts (15-17), and Rover Scouts (18-26). Our group is located in the community of Dundas which is part of the City of Hamilton, Ontario and situated on Lake Ontario about 50 km southwest of Toronto. Our neckerchief colours are blue with a burgundy trim. 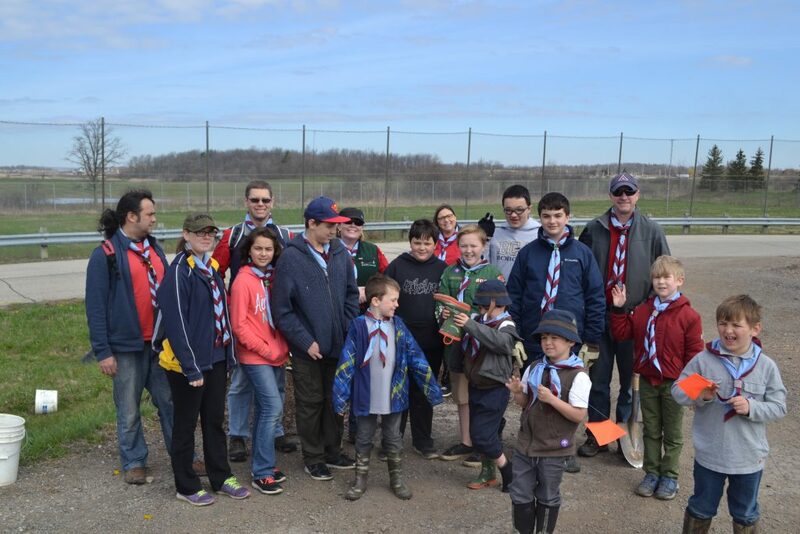 We are an organization under Scouts Canada that is operating in the Hamilton-Wentworth Area of the Battlefields Council only through the volunteering of people like you, in positions of leaders and active Group Committee members. We are chartered by St. Mark’s United Church, but supported by the parents of our members, by both financial and moral support in our fund raising effort, which includes such things as Bottle Drives, Maple Syrup Sales, Popcorn Sales, etc. Moral support is your becoming an active member of our group, becoming involved in your child’s section and/or the group committee. There are several positions which make up the executive of our group committee; Group Commissioner, Group Administrator, Secretary, Treasurer, Quartermaster, Registrar and Fund Raising Coordinator. We are always looking for volunteers to help us in a common goal – Adults helping our youth grow to full adulthood with the knowledge of responsibility, confidence and enriched childhood memories. You may ask yourself -“what can I do to help?” Our answer is anything and everything. If you have time to fulfill a Leader’s role or become a Group Committee executive – Great! If you only have a few hours each month – Great! The bottom line is we need everyone’s help in order to make 6th Dundas a stronger group. We are always looking for new ideas for fund raising, activities, new contacts for items we need to purchase, new opinions on how we approach these ideas. Please contact a member of our Group Committee for more information on how to get involved, or contact us by E-Mail at GC@6thdundas.org.